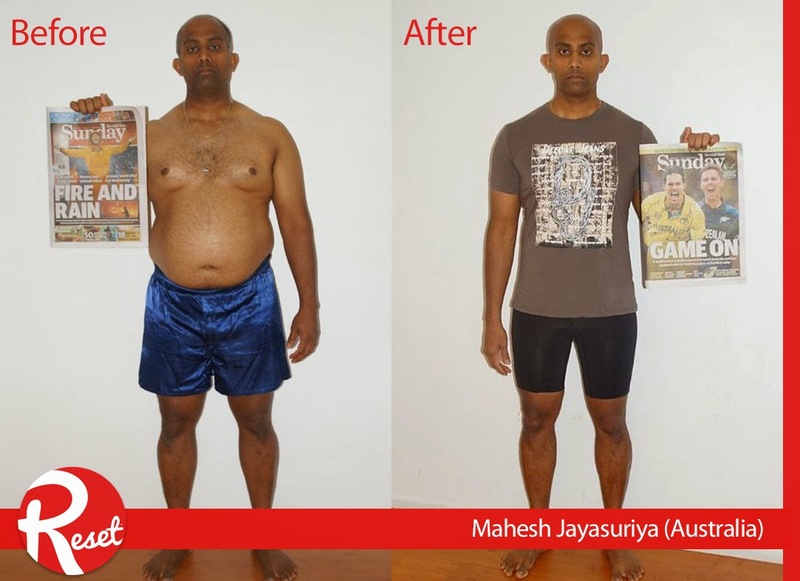 Want to know more about Australian RESET Nation Challenge winner Mahesh Jayasuriya? Check out our Q+A with him below, where we discuss his motivations, challenges and goals for the future. USANA: Why did you decide to do the challenge? MAHESH: As far as I remember I was overweight for almost a decade. I tried many times to reduce my weight in various ways but none of them worked out in a positive way. I am a father of two beautiful kids, Alan and Shevan, who are very active and energised. They always wanted to play with me, but it was difficult for me to cope with them and I tired out very quickly. By looking at myself in this situation and thinking what will happen in the future, I felt so bad about me. I was lucky enough to get introduced to USANA and came to know about the RESET Challenge. That’s when I decided to participate in the challenge and change my life so that I can enjoy a happy, healthy long-life with my loved ones and spend more active time with my kids too. USANA: Are you happy with your results? MAHESH: Absolutely I am so happy and proud of my results. I was able to reduce almost 33kg in 12 weeks. That was massive and it’s a life-time achievement. All my loved ones are also happy with my transformation. USANA: What does this mean for you now? MAHESH: This transformation means a lot to me. I feel lot more active and energised and I am able to do some of the things that I couldn’t do before. I also feel very good about how I look and everyone appreciates my new body. Even now I can wear my favourite clothes which I couldn’t wear before. My self-confidence has increased and now I am living a happy, healthy life. USANA: What has been the biggest change for you? MAHESH: My biggest change has been the healthy food choices and doing regular exercises every day as a habit. I am also improving my knowledge and awareness on healthy living and foods around us. USANA: Would you recommend the challenge to other people? MAHESH: Yes, definitely I’ll recommend the challenge to other people! It is a good opportunity for people to get motivated and get onto the right track. Anybody who participates in this challenge is a winner. They all want to change their lives for the better. USANA: What’s the next goal you want to achieve? MAHESH: My next goal is to maintain my new healthy life and to help others who are in my previous position. I want to help as many as I can by being an example to them and by sharing my experience. USANA: Describe your new outlook in life in three words? MAHESH: I want to thank everyone who supported me throughout this journey to become a winner and a healthy person. Special thanks to my wife (Shammi Jayasuriya) and two kids, my parents and relatives, Ann Perera (2014 RESET Challenge winner) - who introduced me to USANA and encouraged me to participate in the challenge, Peter Howe (personal trainer at the 24/7 Anytime Fitness Roxburgh) - who coached and pushed me to reach my goals, and all my friends. I also want to take this opportunity to thank USANA for letting me into their family. Finally I thank God for all of this, without his grace and blessings none of this will possible. He changed me and my lifestyle for good. Thank you!